This sweet 15 winning line slot game will have you baking the perfect cake in Paulette's Paris pastry shop. La Petite Pâtisserie is a video slot machine with 15 lines, where you should get identical symbols in a row from left to right on a played line. The game includes 3 bet levels, each with a progressive jackpot with the largest starting from 3,000 euros. The bet level is fixed at 0.02 euros per line. Thus, the total bet per spin is 0.30 euros (15 lines x 0.02 euros). 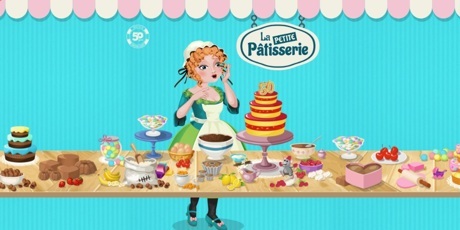 There is a bonus game in La Petite Pâtisserie where you will always win a prize! La Petite Pâtisserie slot offers you 3 progressive jackpots. Progressive jackpots rise constantly as players play on the slot machine. Each time a player places a bet, a small percentage of the bet goes to the total jackpot. And then a lucky winner wins everything.